The Nature Explore Classroom at Gifford Farm Education Center, ESU #3 is striving to provide children with positive, meaningful experiences with the natural world, the Gifford Farm Education Center in Bellevue, Nebraska opened a certified Nature Explore Classroom on its property in 2007. 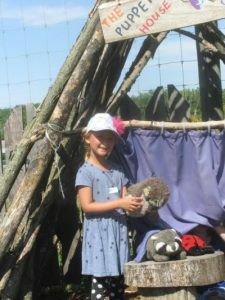 The Nature Explore Classroom is spread over an acre and includes wide-open spaces and several discovery sites to give children multi-sensory experiences with nature. The classroom is open to school groups, scouts and child-care centers by reservation. Gifford Farm has more than 30,000 visitors each year. 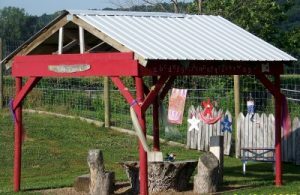 Gifford Farm’s Nature Explore® Classroom is divided into several individual learning areas, including Nature Art, Music & Dance, the Goose Tree House, Climbing area, Book Nook, Sand digging area, Butterfly Garden, Pizza Garden, and Vegetable Garden. In the Gardens, children can hear the sound of rustling leaves, smell the fragrance of flowers and grass, and view the magnificent colors of trees and flowers. Observing and interacting with nature first hand will fill children with wonder and awe about the natural world. Children are encouraged to visit the discovery areas at their own pace, making each visit unique and awe-inspiring. 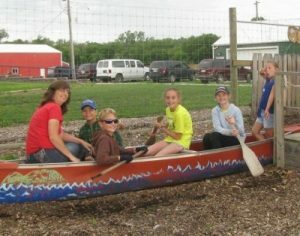 The certified Nature Explore Classroom at the Gifford Farm Education Center was the first to be constructed in the Omaha metro area and the second in Nebraska. 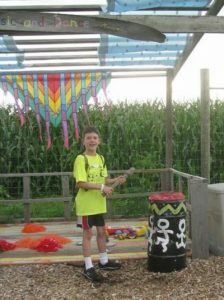 • Our old-fashioned farm style water pump and our rain barrel allow children to play while learning about water as a valued resource. 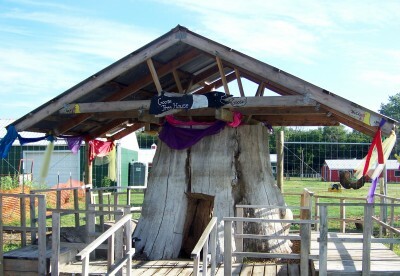 • Many natural and native materials were used in the construction of the classroom, including cottonwood logs, benches and tree cookies. • Plants, trees and gardens are included in the classroom to help improve the visual-spatial skills in children. 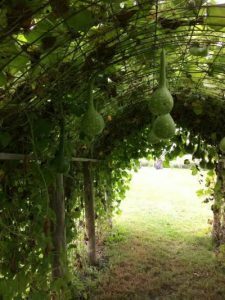 • Gifford Farm’s classroom includes farm-related themes, such as, split rail fencing, birdhouses, a farm style water pump, trough planters, a green bean tipi and a vegetable garden. 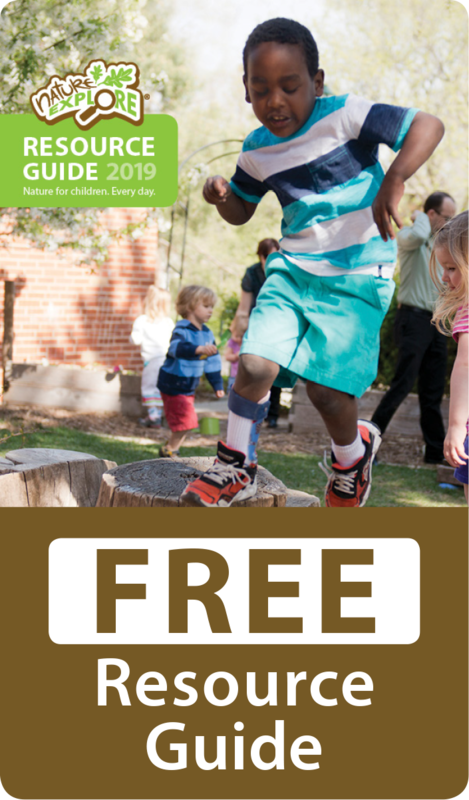 • Children enjoy time spent in our historic hollowed out Cottonwood tree, affectionately called the Goose Tree House, named after the geese who used to nest in the tree each year.